The Grandview Boys Basketball team became State Champions for a second year in row at the Missouri High School Class 4 State Championships game Saturday March 16. 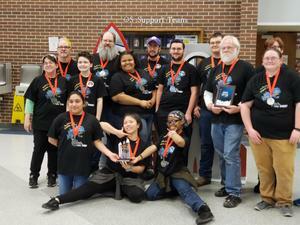 The Grandview High School robotics team placed 2nd at the FIRST Regional Robotics Competition. The mark is one of the best showing ever for a district team. 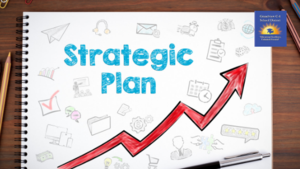 In the 2018-19 school year, the Grandview C-4 School District experienced 12 snow days as a safety precaution for district families during the extreme winter weather conditions. As a result, the last day of school for students in our district has changed. The last day of school for students in the Grandview C-4 School District will now be June 4. Grandview C-4 School District has been recognized as a Project Lead The Way (PLTW) Distinguished District for providing broad access to transformative learning opportunities for students through its PLTW programs. It is one of just 21 districts across the U.S. to receive this honor. 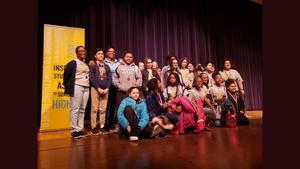 The Grandview C-4 School District earned the District Champion title at this year’s 5th annual Prep KC Math Relays. Spring Break starts Monday. 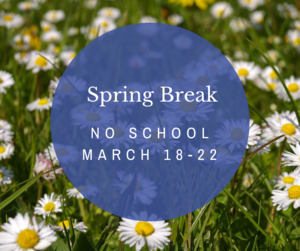 There will be no school this week. We’ll see you back Monday March 25. 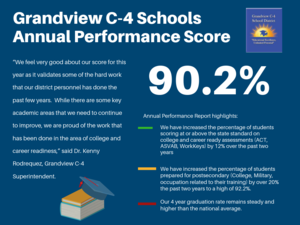 The Grandview C-4 School District’s overall Annual Performance Report score improved to 90.2% for 2018. This is the highest score for the district since 2013. This score places us in the Accredited category. Grandview HS takes the Blue Room March 6. Tickets on sale now. Click to the title for details. 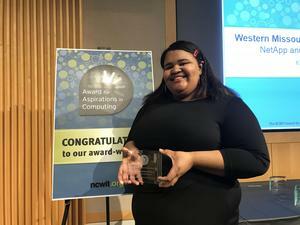 Grandview HS senior Chayanne Sandoval-Williams is one of 40 high school women in the nation receiving a prestigious STEM honor.